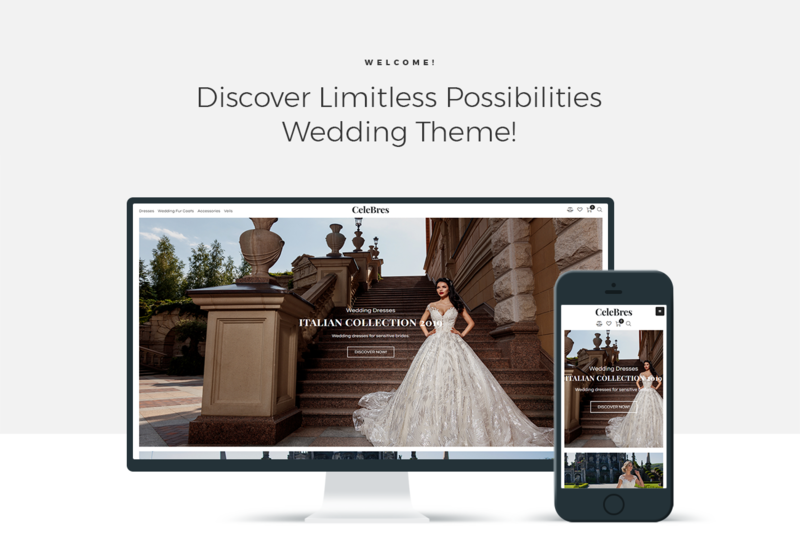 Present your wedding salon in the most exciting manner using a responsive CeleBres theme. Your ECommerce website will look stylish and modern thanks to this professional theme. You will be able to show a broad assortment of dresses for different events, and also to add information about your salon, delivery, payment methods, and contacts. Moreover, you will customize the website according to your purposes and vision using a powerful Jet plugins bundle for Elementor page builder. WooCommerce and JetWooBuilder plugins are perfect for creating an online shop and showcasing products and their taxonomies. JetProductGallery plugin will allow creating convenient galleries for products and showing attractive images of the products. With JetCompareWishlist plugin you will add comparison and wishlist functionality to your website. Using JetMenu plugin you will build mega menus with drop-down sections and change style settings of them as you wish. You will add AJAX filters to the pages using JetSmartFilters plugin. 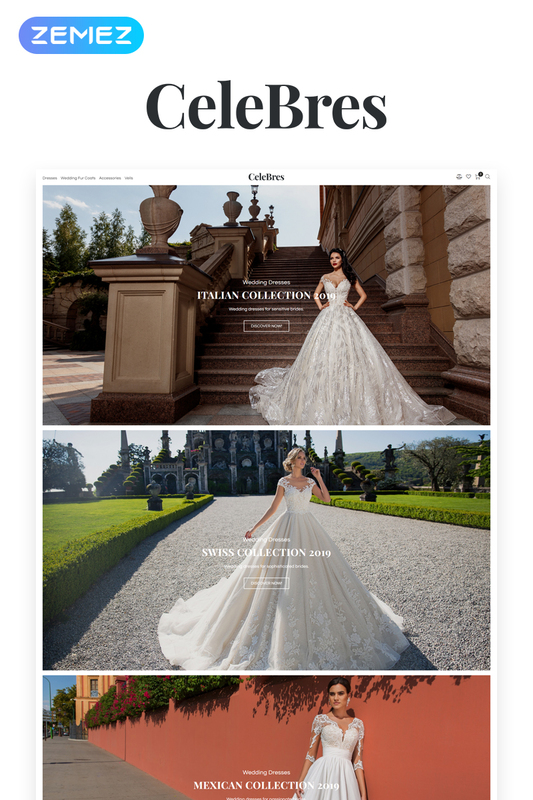 CeleBres theme is a great option to boost your wedding shop and engage more customers.